Experiments with bread | Fork off, heart disease! As you may have seen in a previous post, I have been making my own naan bread for our lunches. This recipe was modified from Terry Hope Romero´s new cookbook (which is not out yet, but I am a tester). Terry made it with all-purpose flour but I have been making it with half whole wheat, half spelt. I also replaced the oil with applesauce and using a slurry of flaxseeds to bind it together since the gluten content is low. The end result was a soft, pliable flatbread aching to get filled up with whatever toppings you can throw at it. I wish I could share this awesome recipe but you´ll have to wait until Vegan Eats World hits the shelves. But to be honest, making 24 naan breads a week is quite taxing. All that rolling and slaving over a hot stove to cook the darn things. It is quite labour intensive. For an occasional treat, it´s amazing but I was looking for something easier to make on a weekly basis. At this point you may be asking: why go through all this trouble? In this country, chances are that there is milk in the bread. I could also buy dairy-free bread at the health food store, but it costs a fortune. So I decided to do an experiment: I tried plopping the naan dough in a bread form and to whether it would be as good. 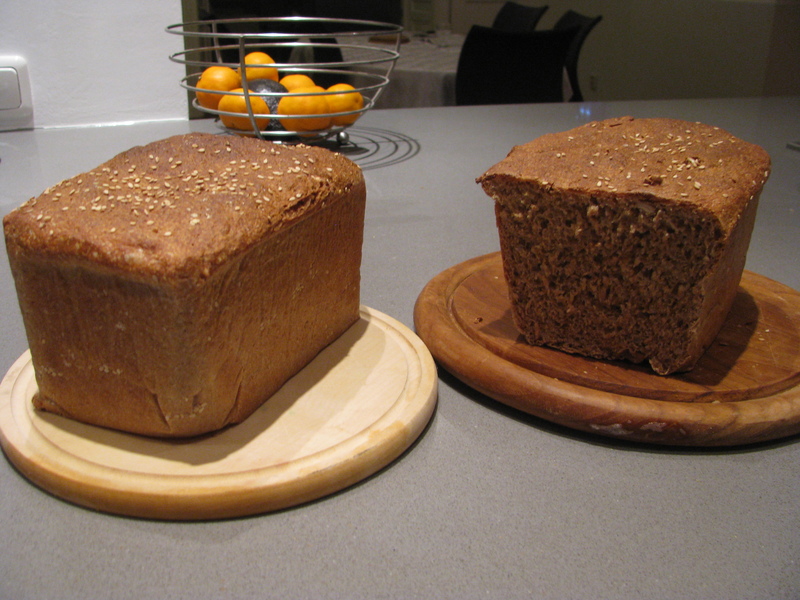 I used the flax slurry again instead of gluten flour, since I could not find any in my city. Looks pretty good, right? The strange lines on the side of the bread are from parchment paper. How about the inside? Good crumb or hockey puck? 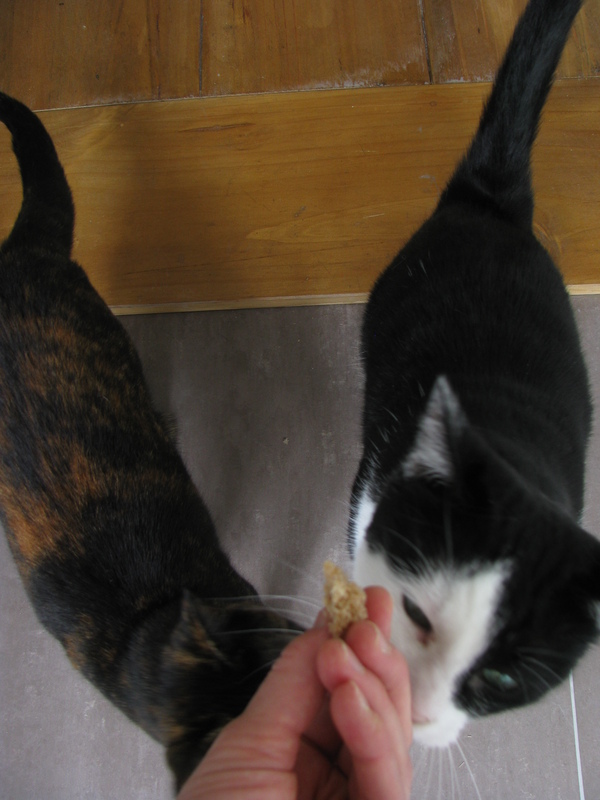 Unfortunately the crumb was very spongy, similar to a gluten-free product. The bread was also crumbly so not quite the result I was looking for. Then I happened to find out this week that a vegetarian Chinese shop sold gluten flour. I also tried a new recipe from this YouTube video, since it was tailored for the use of gluten. Instead of the baking stone, I used parchment paper in two baking forms. Warning, the dough is very sticky because of the applesauce. You´ll have to likely use a bit more flour than what is called for. 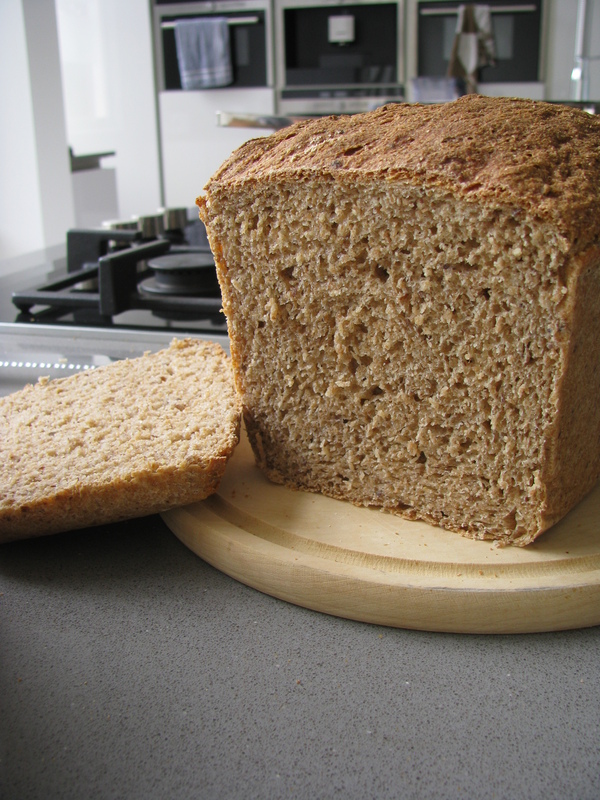 OK ladies and gentlemen, cue the drum roll please…..
Do you have a favourite bread recipe? I would love to hear yours. If you can get a hold of it in Holland (maybe order it from England), you NEED Andrew Whiteley’s “Bread Matters”, HarperCollins. Fabulous, fabulous book. IT explains pretty much everything about bread and how to make it. 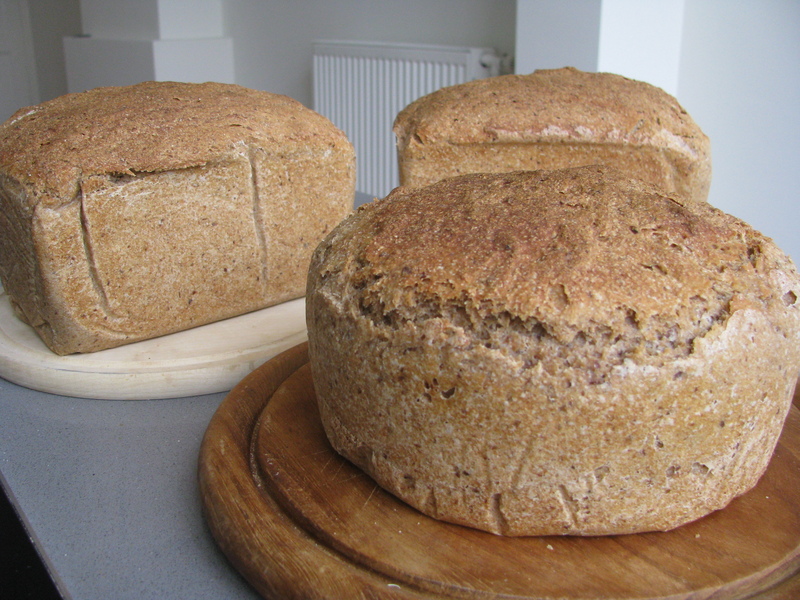 You need to make rye sourdough as it has NO oil or dairy in it at all. He tells you how to make and maintain the sourdough starter without all the stupid fuss (just gt stoneground rye, add water and wait). Seriously, if you can’t get your hands on it, I will buy you a copy here and mail it to you. You will LOVE it. I will also send you my bagel recipe (now totally vegan). 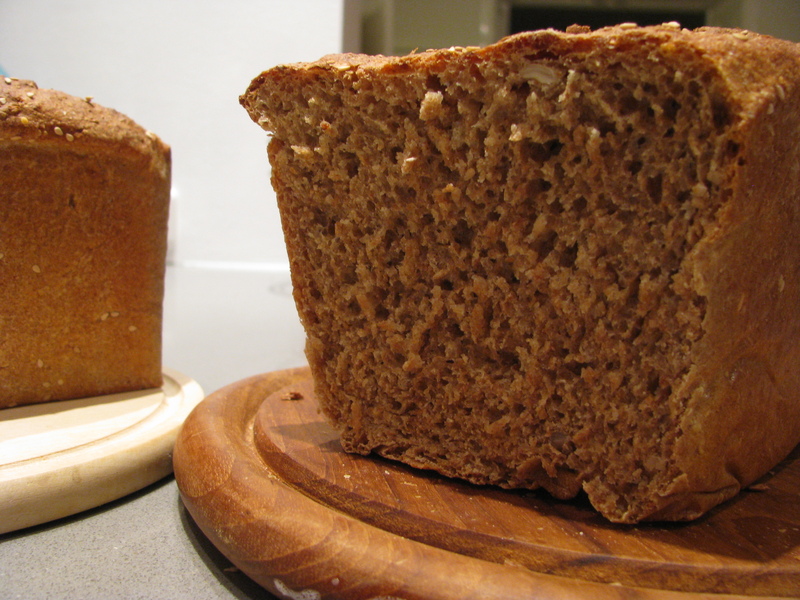 I’m also going to send you my version of Maritime Brown Bread. It is also dairy free. I’ll set it all up tonight when I don’t have three little helpers! Looking forward to it, Christine!